It was back to La Zona Rosa Wednesday night for another show on the best sound stage in Austin (for me at least). 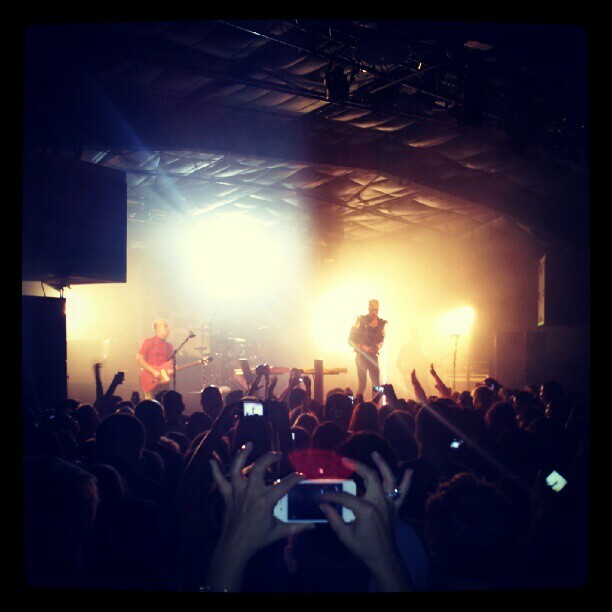 This time I checked out Neon Trees and their rocking and a rolling. Yes, for the Summer Concert Series, I have yet to catch a good ole fashioned rock and roll band. That changed Wednesday (and was about to improve the next day). I keep getting burned by driving downtown to hit up La Zona Rosa. The traffic and parking is brutal around the area. Again, I filled myself with things to do before then show and wanted to make the actual start time and not the door opening time. So, I found myself parking way away and missing the first part of the show. Sorry, JAMZZ. Penguin Prison was breaking out when I finally showed up. They definitely had the energy, but they seemed a little more Screamo than rock-o to me. That said, the toes were tapping. The energy they poured out didn’t quite catch on, but they seemed to me to be the kindle for the fire that burned later on. Any great opening band knows that’s their job and Penguin Prison did theirs. Neon Trees took the stage and I was immediately thrown off by the lead singer. He seemed almost too flamboyant for my tastes. The oversized jacket and lanky gait gave way to an over dyed blonde hairdo. It was like a tinier version of Billy Idol. But I gotta give credit to the guy, he belted out every song and punched us right in the face with their songs. Once I got accustomed to the stage prancing, I feel into the groove and walked out with a bounce in my step. Yes, the Neon Trees rocked out and filled what has been missing for the summer. Sure, I’ve seen some heavy bands that melted my face, but I’ve yet to see a good ole fashioned rock and roll band. Neon Trees feels like they need to do an Arena Tour with Motley Crue. Sure they weren’t totally 80’s but they burned the torch of that decade’s hair band collective. Now let’s hope the lead singer doesn’t go full Billy Idol.